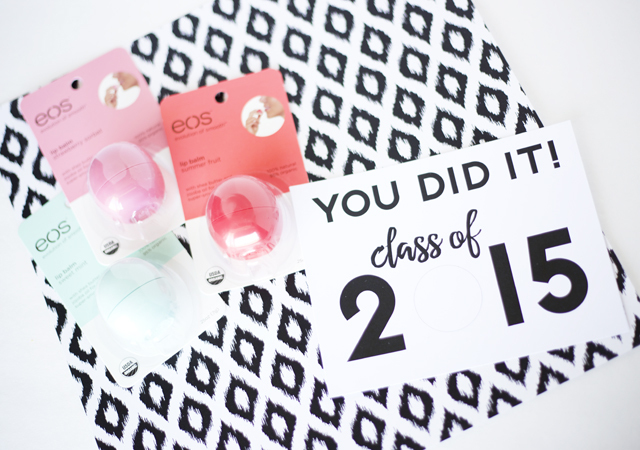 Create a custom Graduation Card and Gift with this free printable that’s designed to hold a yummy EOS lip balm. The new Minc by Heidi Swapp makes any project shine! I’d like to introduce you my latest obsession. The Minc. Just check out it’s shimmery gold surface and TRY not fall in love! 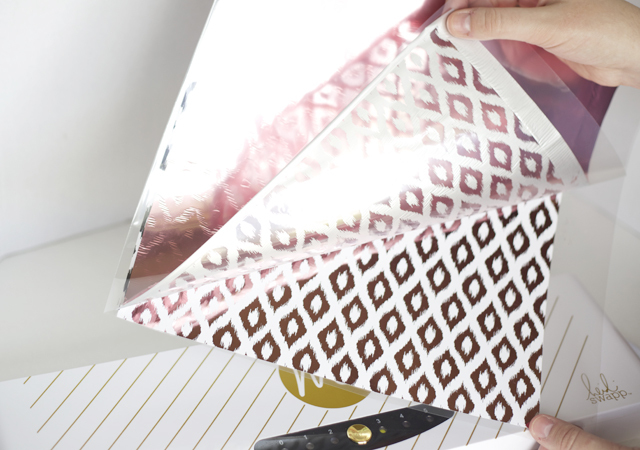 The Minc is a foil applicator that allows you to add beautiful, shimmery foil to your printables, decorations, and crafts! 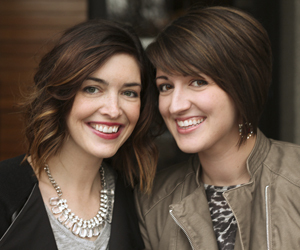 It was created by the super-talented Heidi Swapp and It. Is. Amazing. 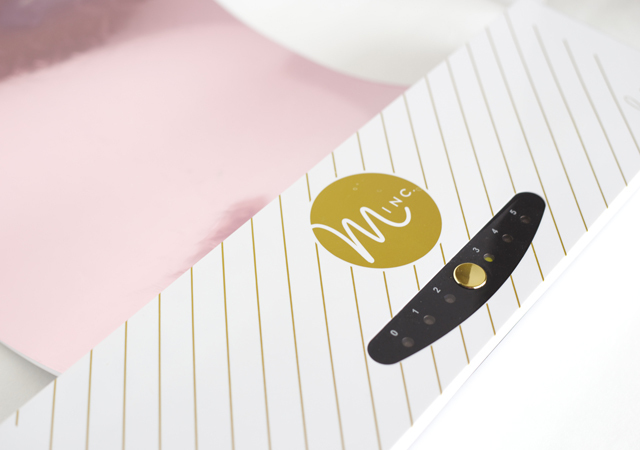 The Minc transfers foil to surfaces that have been printed with toner – meaning you can use the pre-designed products from Heidi OR design your own printables and projects and take them to a copy shop for laser printing! 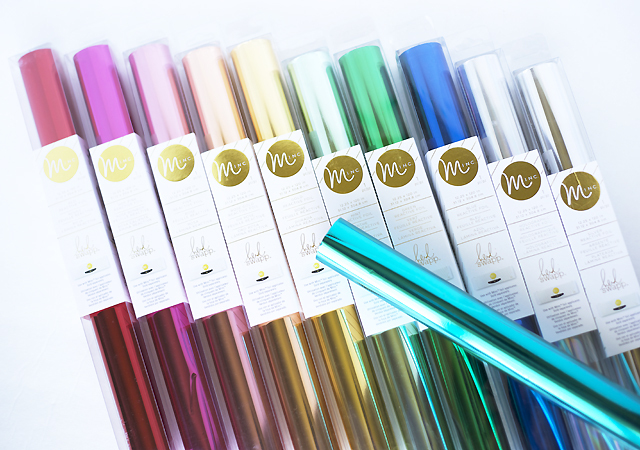 Minc Foil Applicator and Starter Kit MSRP is $149.00 Minc, Foil MSRP is $9.99 (foil is 12”x10’), and Minc accessories MSRP from $2.99 to $12.99. Check out all this beautiful foil! Gold isn’t your only option – there are 11 colors currently available including holographic silver and a very on-trend rose gold! One roll will be good for tons of projects – it measures 12″ by 10 feet. I know. You’re swooning, right? 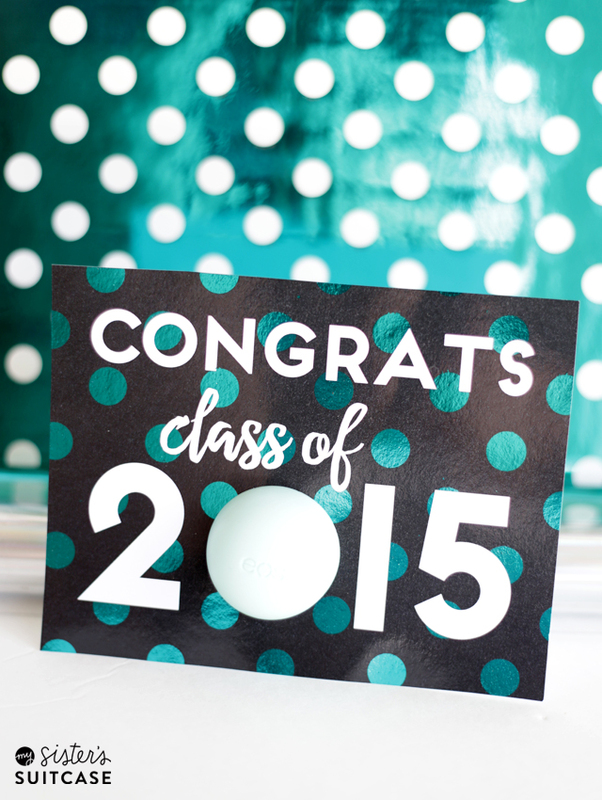 To make this fun EOS gift/Graduation card, I started by foiling a patterned paper with this beautiful pink foil. I’ll show you a step-by-step below – it’s so easy and seriously addicting! There’s really a hashtag #foilallthethings on instagram and twitter and I can see why! To get started, plug in and turn on your machine and then push the gold button to change the heat setting. I’ve been using a “3” on everything and it’s been perfect! Your machine will include 1 transfer folder that is sized for a 12×12 paper. Open the folder and lay your pattern or printed paper inside face UP. Then cover with a piece of foil – color side UP. The foil can go a little over the edge of the paper but don’t let it get outside the transfer folder. 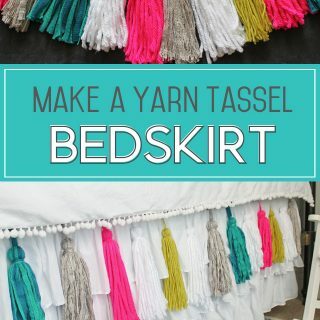 Here’s a huge tip, because I learned the hard way! If any toner is still showing and goes through the machine without foil over it, it WILL transfer to the folder and ruin it. So…don’t do that! If you accidentally do, the plastic transfer folders and sold separately and are very inexpensive. Close up the folder and insert it fold side first into the Minc (from the front.) It will pull the folder through, similar to a laminator would (but this is SO not a laminator!) Then peel back the foil and be amazed! You can use an Exact-o knife or scissors to cut out the hole for your favorite flavor of EOS. 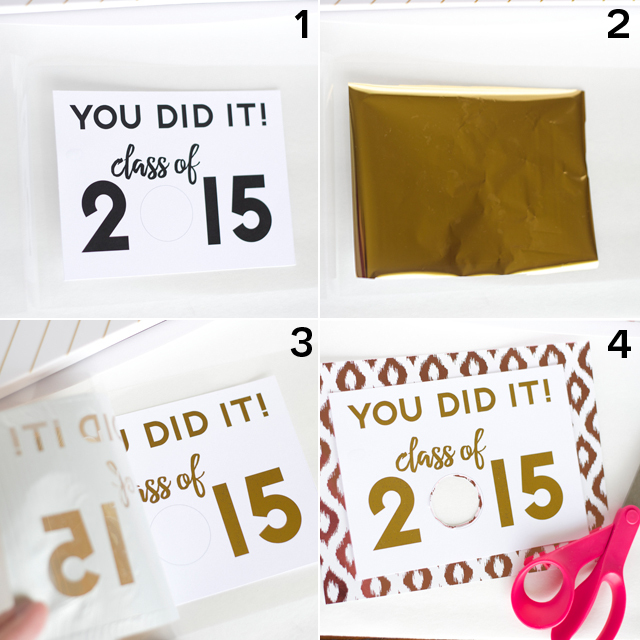 I love that you can really get a custom look with all the available foil colors – especially for graduation! My cute neighbor is graduating this year and our local highschool has a pretty teal in their school colors. I hope she’ll like this version! Don’t forget to download the free printables for this card! Grab ’em HERE! 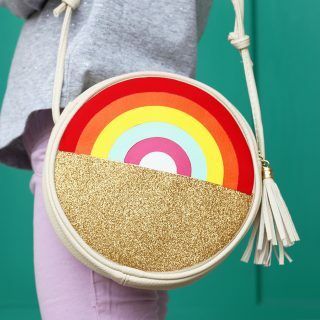 Disclosure: This post is sponsored by Heidi Swapp and American Crafts. All opinions are 100% mine. So cute! My daughter is graduating from high school in a couple of weeks and we had been thinking about what to give her friends. This will be perfect! They all love the Eos and the cards are adorable! Thank you so much for sharing!